The result set contains a single column. A small result set may contain a single row. A large result set contains multiple rows. 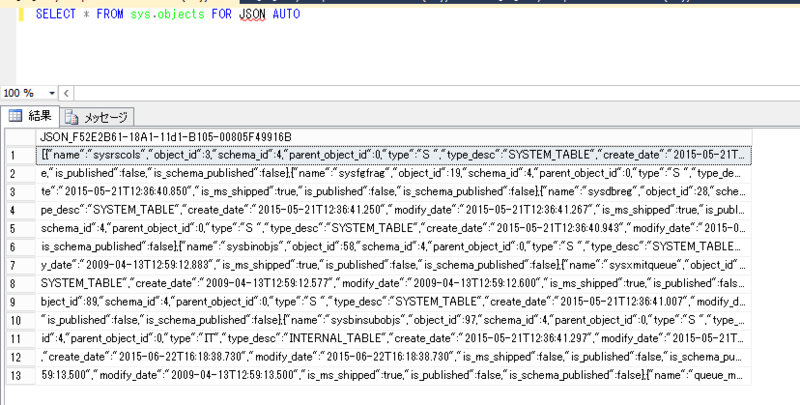 $command.CommandText = "SELECT * FROM sys.objects FOR JSON AUTO"